Home - Decorating your front door step for the changing seasons….. Decorating your front door step for the changing seasons….. Giving a facelift to the front of your home and making it look nice, gives you added pride and a spring in your step. Why not take a few moments to look at the front of your home, is there anything that you would like to do to change the look? Is the front of your home looking a little neglected or do you have a welcome mat and hanging plants or pots around the door adding to its kerb side appeal? Does seeing the front of your home each day cheer you up or depress you? Like many other home owners, I like the front of the house to look nice and have pots placed on either side of the entrance door, potted up with fresh flowering plants of the season, welcoming people to my home. 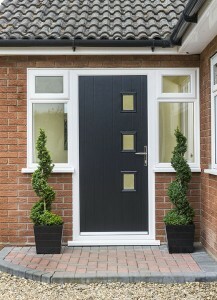 What about your front door, does the door colour change the look and character of your home? Is your home the strong type who likes to make a statement with a bold red door or the quiet type who is happy to blend in with your home and have uniformity in the look? With the advancement in technology and materials used in the production of our Classic doors they can help us to be more energy efficient therefore, helping us to save money. 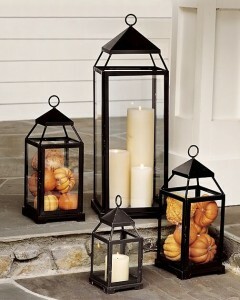 Lanterns can be decorated for the changing seasons. We all like to have a nice entrance door and porch to welcome people, so as the seasons change, so can your porch decoration. The entrance to your home says a lot about you and first impressions are always important. It is the first opportunity to stamp your personality on your home when welcoming guest. Will you be decorating the front of your home for the winter and Christmas period, if so why not share your pictures with us.